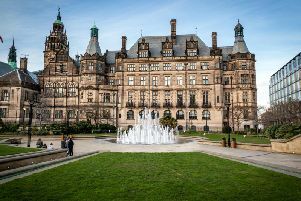 The weather in Sheffield is set to be a mixed bag today, as forecasters predict sunny spells, cloud, and heavy rain. The temperature will be warmer than of late, with a peak temperature of 7C. This morning will see sunny spells and cloud, with the temperature increasing to 5C by lunchtime. This afternoon will then be cloudy throughout, with the temperature reaching its peak of 7C by 3pm. Light rain will also hit between 4pm and 5pm. This evening will become quickly dark, with light rain set to hit from 7pm onward, turning heavy from 8pm. Overnight temperature of 7C. Tomorrow is set to be cloudy throughout most of the day, with light rain set to hit later on in the evening. Maximum temperature of 8C. Looking further ahead, the Met Office UK Outlook for Saturday 9 Feb to Monday 18 Feb said: “Sunshine and showers will affect most areas through the weekend. Showers will be heaviest and most frequent through Saturday, easing through Sunday. “It will be windy with a risk of coastal gales, with temperatures around average. 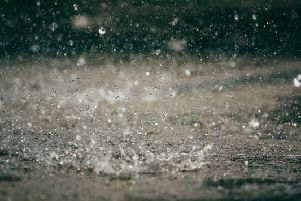 “The new working week will start largely dry before wind and rain spreads across northern and western areas later on Monday and through Tuesday.